Islamabad United defeated Karachi Kings in a thrilling contest by four wickets to qualify for the second eliminator, where they will face Peshawar Zalmi for a place in the final of the PSL 4 against Quetta Gladiators. Karachi Kings won the toss and elected to bat first. The openers provided a respectable start to the Kings, posting 52 runs in just 3.2 overs, before Colin Munro fell after scoring 32 off 11 deliveries. Liam Livingstone replaced Colin Munro and he contributed 49 runs with Babar Azam to take Kings to their century in just 10 overs. However, the home team could not capitalize on the start provided by the top-order and lost their way in the middle. Azam and Livingstone lost their wickets in quick successions after scoring 42 and 30 runs respectively. Afterwards, Kings could not score freely and kept losing wickets at regular intervals. They managed to score just 61 runs in the last ten overs, while they lost eight wickets in the process. The star performer for Karachi Kings, Colin Ingram, Ben Dunk and the skipper Imad Wasim scored 23, 12 and 13 runs respectively. Other than them, none of the batsmen from middle or lower-middle order could enter the double figures. 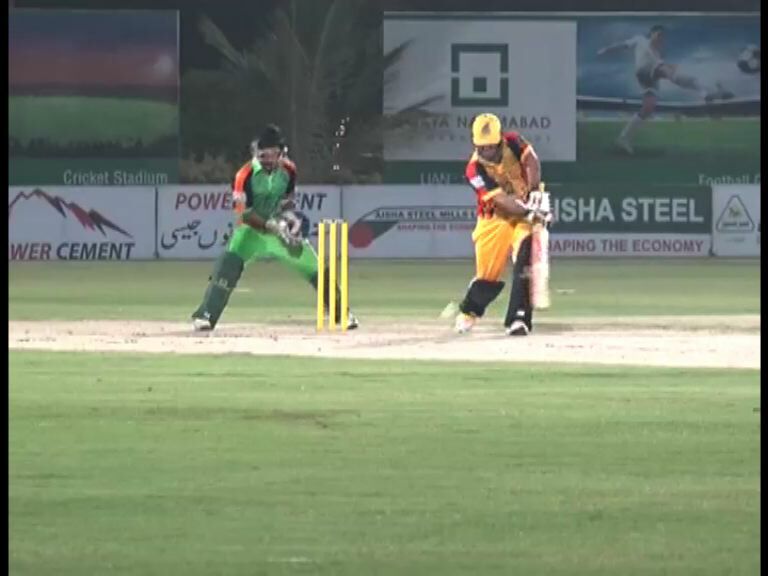 The young pacer of Islamabad United, Muhammad Musa remained the pick of the bowler for the reigning champions with three wickets to his name for 42 runs. While Faheem Ashraf took two wickets. Rumman Raees and Shadab Khan got one wicket apiece. As Islamabad United came out to chase, they had a forgettable start losing their dangerous batsman, Luke Ronchi early in the inning for just 5 (9). Cameron Delport and Alex Hales had a handy 44, where the left-handed batsman played they key role with 38 runs off 27 deliveries. Karachi Kings’ young spin sensation, Umer Khan bowled a magnificent over where he removed Cameron Delport and Chadwick Walton in one over and conceded just 10 runs in his quota of 4 overs. Alex Hales could not score freely in his first game of the PSL 4, but he made sure to hang in there in the middle, while other batsmen played around him. He lost his wicket after playing a slow and steady inning of 41 runs off 42 deliveries. Islamabad United’s left-handed batsman, Hussain Talat alongside the aggressive Asif Ali played had a crucial partnership to take Islamabad United close to a much-deserving win. Talat got out after scoring 32 off 19 deliveries, which consisted few brave boundaries, which kept his team in the game, though Hales was unable to get fours and sixes from the other end. Faheem Ashraf played a useful cameo of 17 runs off 8 deliveries, while Asif Ali kept his cool for his unbeaten 24 (10) to take their team to another eliminator in the PSL. Islamabad United won the game by four wickets with three balls to spare. Umer Khan remained the best bowler for Karachi Kings. Whereas, Aamer Yamin took two wickets. Mohammad Amir and Usman Shinwari also hunted one batsman in the process.